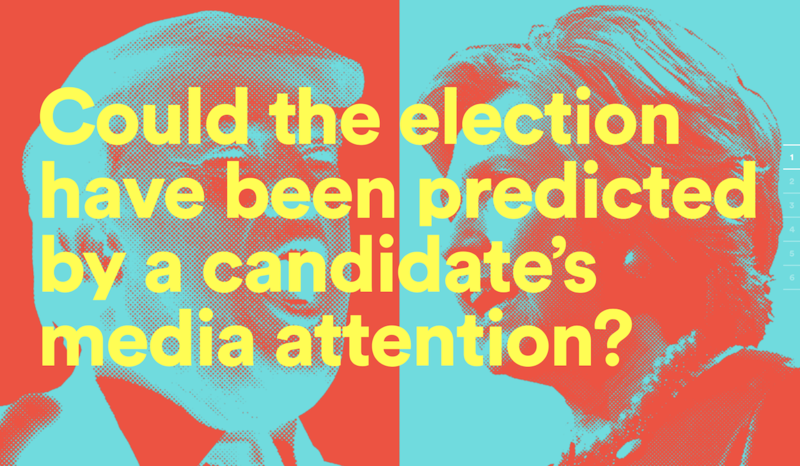 This website is all based around the question if the American election could have been predicted by a candidate’s media attention. What also grabs the attention is their webdesign. In particular their choice of color pallet. Minimalistic by only working with the primary colours, but at the same time visually impactful by using these colours in a vibrant and energetic way. Check out the website!